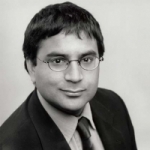 Avinash Persaud is the founder and Chairman of Intelligence Capital. Prior to founding Intelligence Capital and the GAM Persaud Investment Funds, he was Head of Global Research at State Street Corporation. Previously, he was Global Head of Currency and Commodity Research at JP Morgan. He held the Mercers&apos; Memorial Chair in Commerce at Gresham College between 2002 and 2005, is a Governor of the London School of Economics and a Trustee, a member of the Board of the Global Association of Risk Professionals and the Chair of the CBC Working Group on investment flows. He is the winner of the Institute of International Finance&apos;s Jacques de Larosiere Award in Global Finance and an Amex Bank Award as well as a prolific author. All of Professor Persaud&apos;s previous lectures may be accessed here. In bull markets all you ever hear about are new trends. Part of the addiction that drives investors to scramble for even more stock at the very top, is the idea, ever present during a bull market, that the world is on the edge of dramatic new trends. History seems speeded up and everywhere you are told if you don’t follow the latest trends you are likely to fall off. In the subsequent bear market, it is not surprising that betrayed investors view talk of trends with much suspicion. But some trends do cut through the cycle of fear and greed. One of them is the consolidation of financial markets in general and equity exchanges in particular. What I intend to do today is examine this trend, its direction, its force and its possible consequences good and bad. I will dwell on some of the bad consequences and how policy makers may ameliorate them. We have been fortunate throughout this lecture series to have many experts in the audience and I see that is again the case tonight so I will make this a brief assessment of the issues and debate so that we may have more time for questions and discussion later. The world is littered with the corpses of dead stock exchanges. A hundred years ago the UK had around 30 equity exchanges housed in splendid Victorian buildings at the centre of cities like Manchester, Birmingham, Liverpool and Glasgow. Thirty years ago, the seven remaining exchanges in the UK united to form one. The same trend of consolidation can be found in the United States. You will find the ghosts of exchanges past in most US cities like Pittsburgh, New Orleans or Hartford and, though on a longer schedule, a similar trend is in place in continental Europe. What has long happened within countries; is now happening between countries. Companies are looking abroad for more liquid foreign markets in order to list their shares. Borders are breaking down. This chart shows the cumulative number of new listings on the London Stock Exchange by companies, originally registered abroad since 1938. Cross-border listing is a long and powerful trend on the major exchanges that has cut across bull and bear markets. If anything this trend accelerated in the 1990s. If the accumulation of liquidity on a few large exchanges killed off the local exchanges in the last century, today it is undermining national exchanges. Just ten years ago when the privatisation wave was running across the world, the Berlin wall was tumbling down and new post-communist countries were being born, it seemed that new national stock exchanges were opening almost daily, from the the Baku Stock Exchange in Azerbaijan to the re-opening of the Warsaw Stock Exchange in Poland in 1991. For a time it seemed that national stock exchanges were regarded like national airlines, a country needed to have one to prove its autonomy. Some of those exchanges have prospered, but a surprising number have foundered. As major companies have listed on the LSE or NYSE, liquidity in many emerging markets has been hollowed out. This is not just a feature of the newest and smallest exchanges, established perhaps more as a result of aspiration than demand. This chart shows the annual turnover since the mid 1990s of what was one of the oldest and most advanced stock exchanges in Latin America, the Santiago Borsa. Remember that in developed markets the trend was different with the period between 1997 to 1999 being boom years not just for equity prices but volumes too. This trend of liquidity collecting in the most liquid markets and draining from the less liquid has been helped by deregulation as restrictive practices are removed. Beyond cross-listings and ADRs, competitors to the traditional exchanges have been allowed to enter the market and exchanges are invading each other’s markets. At one time, the Nasdaq looked like becoming a franchise with the initial, but not lasting success of the Jasdaq, Kosdaq and Easdaq. It is hard to predict the pace of deregulation, something most critical in the creation of Europe’s single market. But there are two other, perhaps more reliable, forces driving consolidation of exchanges that will be there whether the political will for further deregulation is strong or not: technological progress and the pursuit of liquidity by investors. Local exchanges first arose through local informational advantages trading the shares of local companies or national companies of interest to local investors. The local dealers on the Pittsburgh exchange were once the best informed about what was happening to companies in Pittsburgh. As a result potential buyers and sellers of these stocks flocked there providing good liquidity. Local investors, cut off from more immediate price information, would also trade national stocks amongst themselves. When technological changes made information more readily, more extensively and more inexpensively available, these local information advantages were eroded, to some extent reversed, and the local exchanges went into decline. It was said at the time that the reason why the Hartford Stock Exchange closed in 1935 was the advent of the new long-distance telephone service between New York City and Hartford. The NYSE dominance in the US began with the arrival of the NYSE ticker tape that allowed ticker hounds like the mythical Larry Livingstone to arbitrage between the prices of national companies listed on the New York market and any other exchange not yet moving in line with New York. In the 1990s, a combination of the computer and information revolution and a more interconnected global economy meant that information differences were even further ironed out. When information costs were large, investors went to where the companies were, now that they have largely disappeared, companies go to where the investors are. As informational differences have disappeared, investors have also become more focused on placing their trades in the markets that offer the lowest cost and most efficient execution and settlement. This tended to be the larger markets which made them larger still. Liquidity begets liquidity. The evidence is that consolidation has been a long, steady and powerful trend going back over a hundred years. It is driven in part by deregulation, the pace of which is uncertain, but also by forces that are very much with us – technological progress that is bringing down information costs and investors’ search for liquid markets with cheap and efficient execution. One reasonable possibility is that this consolidation will continue until we are left with just one exchange open across all time zones, a single global financial market. I am not saying that this is inevitable, or that it will happen imminently, but that this possibility is sufficiently real that we need to consider the consequences. These are wide-ranging and significant. The first observation relates to international political economy. The listing requirements of a single global exchange would become pervasive. Let us imagine that in five years time the NYSE is the global exchange where the world’s largest companies are listed and trade 24 hours a day. And let us imagine that the financial shenanigans at Enron or WorldCom had never come to light, and then the world would be using US Generally Accepted Accounting Principles. Even if a company were not listed on this exchange, if it had aspirations to do so, it would have to adopt US GAAP. Even if a company had no aspirations to list, convergence to these requirements would allow international lenders and private equity investors to more easily compare companies and so there would be financial rewards to doing so and penalties for not. In the light of Enron and WorldCom and others, US corporate governance in general will be improved. The US approach may come to resemble more closely our own in the UK. But one dominant market will mean a monopoly of its standards and even if these start off being the best available, the current room for competition between different forms of capitalism would be marginalized and it is this competition that ensures standards are continuously improved. Furthermore, accounting standards and corporate governance are not absolutes with a right and wrong approach, but reflect different historical, cultural and legal backgrounds that may put some companies and economies at a disadvantage if they have to adopt approaches that are literally foreign to them. This point is most directed at the European Union. This is what is at stake if we delay in the progress towards a more harmonised European financial market, the likelihood that the single global financial market is based in the US around standards that may be alien to the historical, cultural and legal background of European business. There was a certain amount of schadenfreude in France on the resignation of Vivendi Universal boss Jean Marie Messier in July last year, partly because Mr. Messier appeared to turn Vivendi into an American company, but the reality is that this had far more to do with the dictates of where the market for risk capital was and what this market demanded, than Mr. Messier’s personal patriotism. While I believe this political economy point is valid and important, I do not want to overplay it. There are benefits of a global standard. It maybe that Europe is ill-served by its current corporate governance traditions. Elsewhere there are many countries where corporate standards are not perceived to be sufficiently tough or where enforcement is lacking. A single global financial market would free some successful companies from adverse country factors. These need not be a failing government or scandal riddled market, but perhaps uncertainty about currency movements or settlement arrangements or just an adverse reputation, possibly based on a past long since departed. The reputation and access to capital of Infosys, the Bangalore based software company, is substantially greater as a result of its Nasdaq listing than if it were only listed on the Bombay stock exchange. A single global financial market would introduce a degree of rigidity in standards that may be negative for those companies in countries already blessed with credible local standards, but significantly positive for those in countries lacking this credibility. One partial measure of the way cross-listings leads to a divorce from local factors is in this chart. Here we look at the correlation between share price movements of the NYSE and the LSE, the green line is the correlation between share movements in the US market and UK companies listed on the NYSE. I have used UK companies here because there is a large enough sample for this marked difference in the correlation to be statistically significant, however, the point is more relevant for those companies not just looking for better access to investors but partly seeking to divorce themselves from local factors. Large international companies based in South Africa, South Korea, or Poland, or India appear to feature particularly often in the cross-listings on the LSE. Perhaps the greatest potential concern arising from a single global financial market is what happens to those companies that are not on it. If big Polish companies adopt global standards and leave the Warsaw Stock Market for New York and as a result tap into greater liquidity, that is a positive development for those companies. So much so that national regulators should encourage this process by adopting regulation that is complimentary to these listing requirements. But those Polish companies too small to list globally will be left with an illiquid exchange. Remember a global listing has direct costs – annual listing fees – but also indirect costs to meet the other requirements such as on audits and disclosure. This is significant because it is small companies that provide the greatest proportion of growth in employment and economic activity and (Modigliani-Miller aside) the most appropriate form of finance available for unproven ventures with no or small current revenues is equity finance. These companies may be forced to turn to alternative forms of finance, just as Basle 2, in its current form at least, makes this more expensive by increasing the regulatory costs for banks that lend to small enterprises in developing countries. One of the odd things about political economy today is while governments struggle to influence their economies within smaller margins of policy flexibility as a result of fiscal or monetary policy rules, they have abandoned a highly significant area of economic policy to the private companies that run these increasingly monopolistic exchanges. Getting the right corporate governance and developing liquid equity markets that are good at providing finance to small and medium enterprises are critical ingredients to economic success today. Yet most governments have given themselves little formal influence over this area. And where they do tend to exert influence, via independent regulatory bodies, these bodies tend to be focused on far more narrow objectives. Let me end by making two radical proposals that will get me into trouble with many of my friends here. View them charitably as devices to shift the debate along. The first relates to supporting liquidity in local markets bereft of size because large companies have moved their listing abroad. I have been fortunate in recent years to study the general patterns in State Street’s portfolio holdings database. Following the purchase of Deutschebank’s custody business, this is now the largest such database in the world covering 20% of all of the world’s tradeable assets. One of the many interesting things I have learned is that liquidity is not about size it is about diversity. Imagine there is a market with just two people, Sir Nigel and myself and whenever Sir Nigel wanted to buy, I wanted to sell and vice versa. That would be a small but highly liquid market, easy and cheap to trade in. Now imagine we get bored with this parochial bliss and we go off to another market with 10,000 traders sharing the same information and using the same risk management techniques, and that whenever we want to buy so do the other 10,000, then the price would have to rise a long way in order to turn some of these buyers into sellers. And when our risk management systems forces us to sell, so do the risk management systems of the other 10,000 and so the price has to gap down until new buyers are lured into the market. This market is bigger, yet thinner, it is illiquid, difficult and expensive to trade in. Size and diversity are related, you would expect a bigger market to have more diversity, but not necessarily and regulation can be used to promote diversity or not. At the moment it is not. Our current regulation pays more attention to legal notions of equity across individual institutions than to economic notions of public welfare. The mantra of our regulators is we need common standards across different types of institutions and across risks, when in fact what we need is the precise opposite. For better liquidity and the spreading of risk we need institutions to be encouraged to have different approaches to risk to suit their different underlying objectives. If instead everyone is forced to sell an asset after it has fallen by a certain amount irrespective of their investment horizons, who will be left to buy? This is one of the reasons why the UK equity market has underperformed. The pension and insurance companies have been forced sellers as a result of breaching their regulatory ratios and risk management systems, and as they dominate the UK market more than almost any other, there have been few other market participants left to buy. Often diversity can promoted by lightening the hand of regulation and allowing carefully selected parts of the financial system to lie outside normal regulations. I have spoken about this before and so will not dwell on this further now. But having endeared myself to those of who always like the idea of less government meddling, let me now lose their sympathy. The second proposal I would like to leave you with relates to how we may better support small and medium enterprises. A liquid, efficient, exchange that provides price discovery and promotes disciplined, transparent risk-taking is a public good. Yet they are run by private companies seeking to maximise profits from a monopoly position. Public goods are sometimes hard to imagine. An example of a public good is London’s public parks. They could be privatised and there could be an entrance fee, but the problem is that the benefits of these parks extends to many people who don’t go in them, but just watch from the outside or live and breathe around them. As a consequence, the private sector will over charge and under supply public goods. Similarly, the owners of stock exchanges are concerned with earning as much rent from their monopoly as they can and the key stakeholders; nation’s investors and borrowers have marginal impact on how the exchanges are run. That this should not be more regularly questioned is odd. The ideal solution is that the licence to manage the nation’s exchange should be auctioned off by the financial regulator, with the winner receiving a subsidy in order to provide borrowers and investors with speedy, cheap and reliable execution and settlement. The Board of the licensing authority would consist of the main stakeholders, investors and borrowers rather than dealers, an exchange run by the buy-side not the sell-side. This sounds far fetched but there is an interesting precedent. In 1993 the Bombay Stock Exchange, an old cosy club of dealers who managed the exchange for their benefit, had such a poor record for scandal and scam and poor investor protection that regulators decided to set up an alternative exchange. Its board was composed of all the stakeholders with a strong representation of investors. The focus was speedy, efficient settlement and investor protection. Listing was free with revenue coming from a small standard transaction fee. The result was that in just four years the new National Stock Exchange of India became the largest exchange overcoming almost one hundred years of a virtual monopoly held by the BSE. In the process the BSE cleaned up its act and the turn over of both exchanges grew strongly attracting more foreign participation. This example is all the more interesting as it is one of the few examples in stock markets where the dominant, liquid, Goliath has been beaten by the new upstart. • It is very possible that in a few years time to just one single global market. • It will improve the access to liquidity of large companies on the global exchange, but to the detriment of small companies left back home. • Regulators probably have more influence over these developments than they appreciate or currently exercise. Let me summarise. There is a strong trend for the further consolidation of exchanges driven in part by the current phase of deregulation, but powerfully also by the forces of technological progress and the pursuit of liquidity. It is very possible that this trend leads us in a few years time to just one single global market. This will have far reaching consequences. It will lead to a single global approach to corporate governance. It will lead to a downplaying of country factors over corporate factors. It will improve the access to liquidity of large companies on the global exchange, but to the detriment of small companies left back home. Many of these developments are positive. Some are clearly more challenging, in particular how to promote the flow of risk capital to those companies left on the local exchange. However, regulators probably have more influence over these developments than they appreciate or currently exercise. They can boost the liquidity of markets by promoting more diversity. They can also play a role in nurturing or even establishing investor-driven exchanges to make sure that the public benefits of an efficient national exchange are not lost in the pursuit of the owners profit. I hope that is sufficient food for thought and debate.